happiness and success. Since the beginning of time, every form of life has been called upon to meet such crisis." "Shall I tell you what I find beautiful about you? You are at your very best when things are worst." "I am a mortal enemy to arbitrary government and unlimited power. and the least encroachment of those invaluable privileges is apt to make my blood boil." "We are not put into the world to sit still and know, we are put into it to act." This prototype is the precursor to an MMOG "Massive Multi-player Online Game" and I am sure it will go through many iterations with help. Participants of Critical Collapse ( as it is right now) assume the roles of governments in our present day world and attempt to solve issues that the nations face, this is done on the Macro scale, further down the road, participants will also have the ability to work on solutions on the Micro scale involving local communities with strategies and actual implementations of solutions. Authors note: I consider this adventure to be the most important in not only human history, but also in the history of all life on this world. Many may think that humans are a cancer or malignant disease and that we are not part of nature. I disagree, cancer is part of nature! Every thing we do is replicated in one form or another by other organisms on our world, with one exception, and that is we have the capability to protect and redistribute most of the information this world has acquired so far and possibly share this with intelligences yet unknown, either to those that will develop on our world or those of other worlds. I know that we can do this however I also know that we are also capable of passing up this opportunity. is at the heart of the concepts of Critical Collapse. 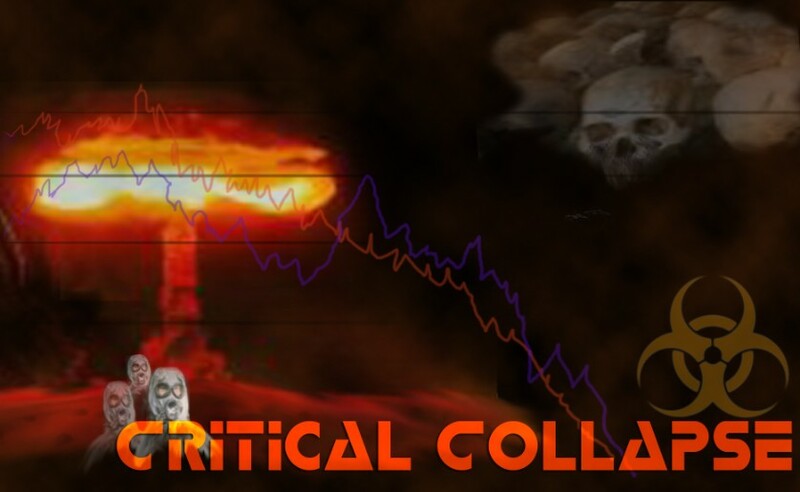 Critical Collapse is licensed under a Creative Commons Attribution-NonCommercial-ShareAlike 3.0 United States License.